Each September I choose a new word for myself. A mantra, if you will, to focus on each day. Some people choose words in January at the start of a new year. For me fresh beginnings come in September. Two years ago the word I chose for myself changed my life. It set me on the course of writing a book, opening a store and changing the way I approach each day. What started years ago as something I would casually think about day to day has become something I now take seriously. Instead of asking God to bless the word I chose for myself (Ha! How silly of me) I now ask if he has a word for me. 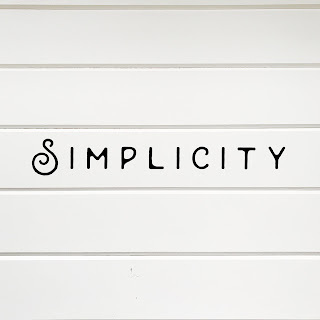 This years word is "Simplicity." Before you rolls your eyes, I acknowledge that simplicity and minimalism are all the rage right now. I am in no way trying to jump on a bandwagon of tiny homes and living off of Netflix only. Although those things do sound wonderful and I understand the draw and maybe those will take place this year, I am coming from a place of yearning and calling to simplify. And not just simplifying my stuff, but my routines and my words. This stirring really began five years ago. As some may remember when l lead our local moms group our theme was " I Quit." We dove into quitting listening to what Satan was speaking into our motherhood, we quit comparing ourselves to other moms and we quit using the world as our measuring stick. I didn't see it then, but this was a way of bringing simplicity into my life. I was giving myself permission to quit the things that were bringing me down. As I set out to be more intentional about bringing simplicity into my life I'd love to know more about you. What areas in your life are the most simple? Where do you long for simplicity? What systems do you have a handle on? What systems do you wish you could simplify? Who do you look to as a model of simplicity? 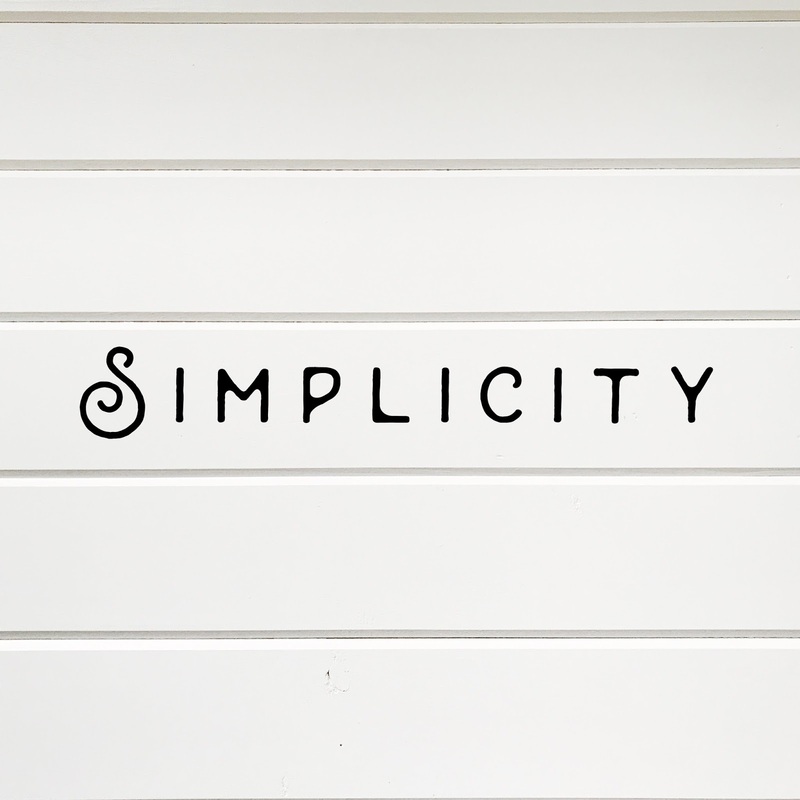 What does simplicity mean to you?